Are you ready for a bountiful beauty of a post? Because I have one. 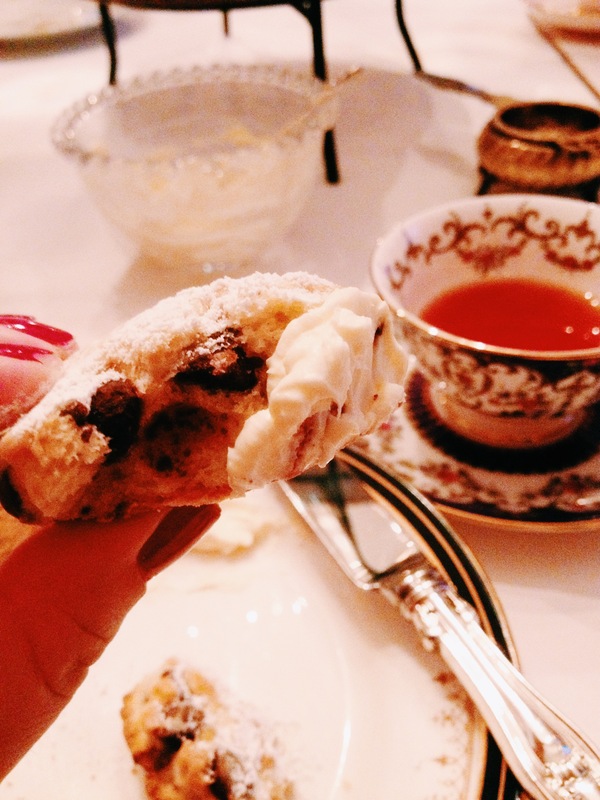 I have several simple recipes to share with you today concerning afternoon tea. Oh my. 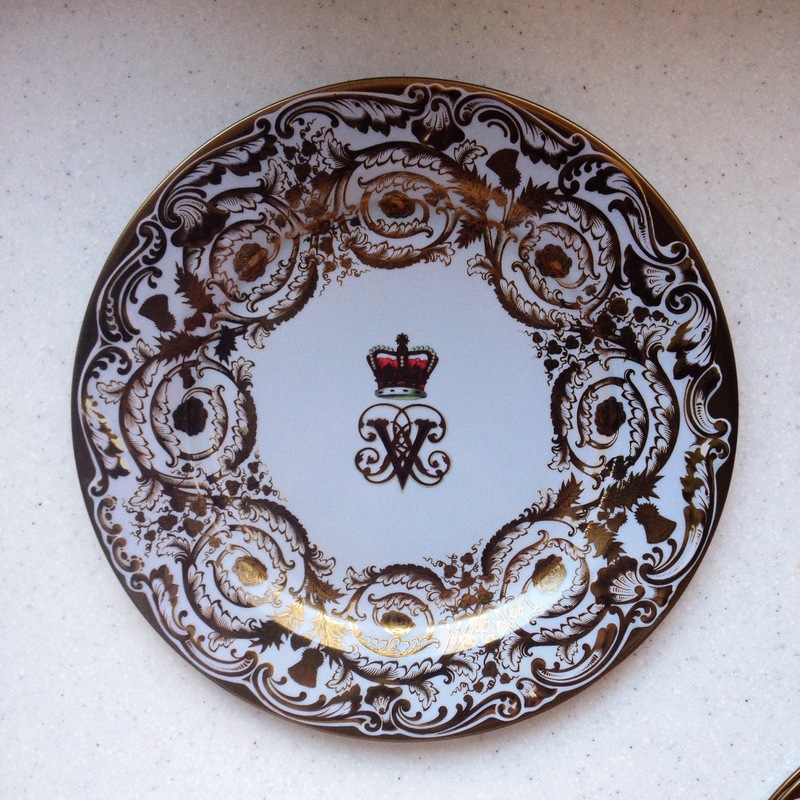 KVS brings me little treats from London all the time because she’s wonderful – Victoria and Albert commemorative plate. I have little to no authority on the matter, if you don’t count the semester I spent studying in London or my Brit-heavy heritage. But why would you wanna discount that, huh? Those are pretty nice credentials! 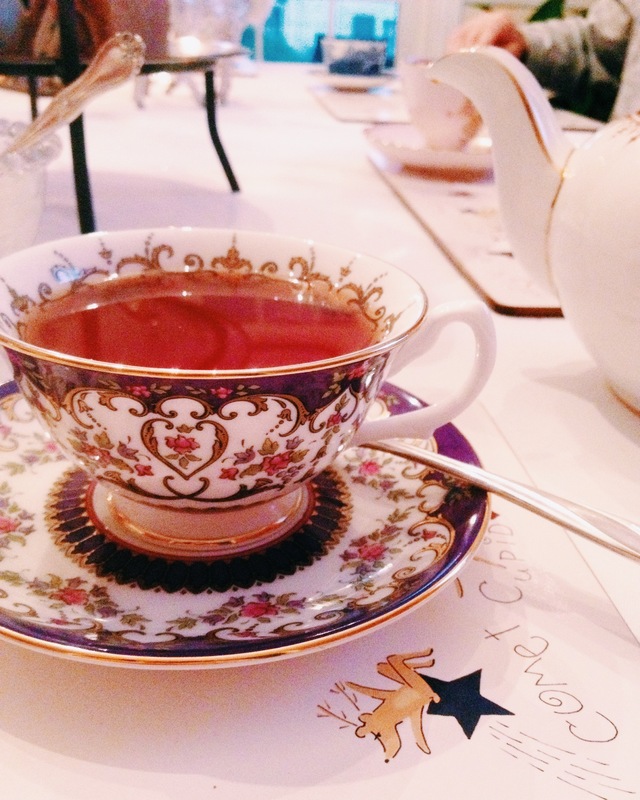 I mean, I probably shouldn’t tell you that I never really liked tea and the first time I ever had a proper afternoon tea was at the very end of that London semester. I definitely shouldn’t tell you that I ate a huge burrito right before meeting my parents at the chic (and not inexpensive) Goring Hotel, where I proceeded to sulk about the impending end of the semester while hardly eating a bite because of said huge burrito. Because that would seemingly discredit me and my basic knowledge of afternoon tea. But WHATEVER, that was five years ago! I’ve grown, I’ve learned, I’ve matured! I make scones now! My grandparents love tea. Every day around three or four in the afternoon, they brew some tea and get out a few cookies and tuck in. 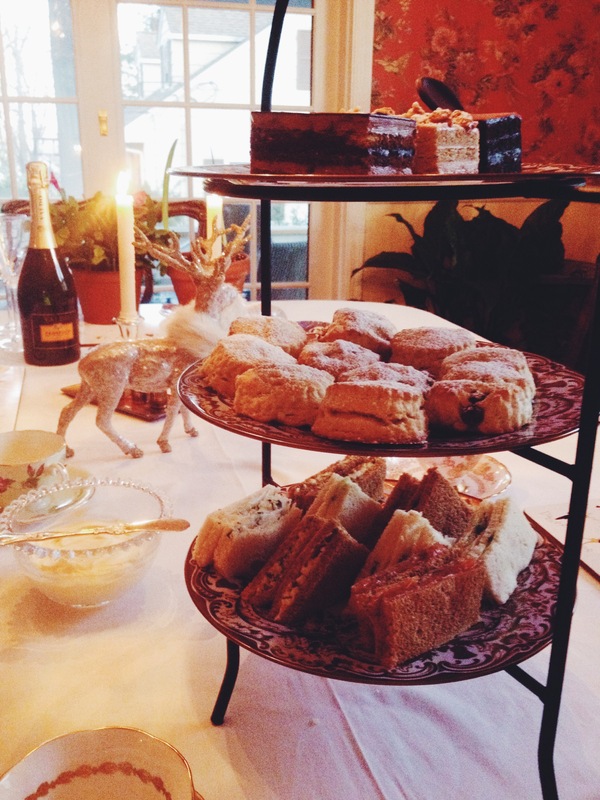 So, for Christmas, I thought I’d make them an afternoon tea to write home about. 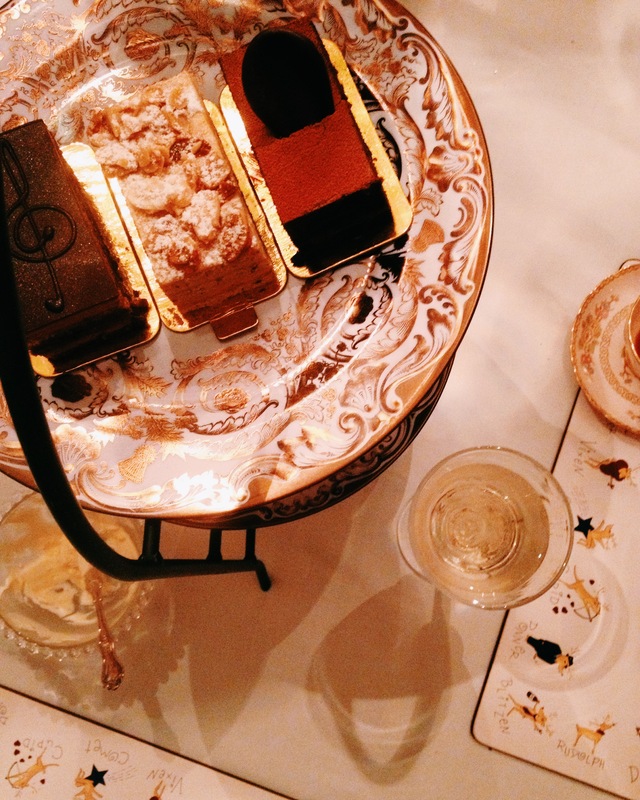 I keep saying “afternoon tea” because I don’t want you to fall prey to the common (American) misconception that a nice tea you would have at the Plaza or at Fortnum & Mason is “high tea.” High tea is a meal eaten generally between five and seven in the evening by the working class. 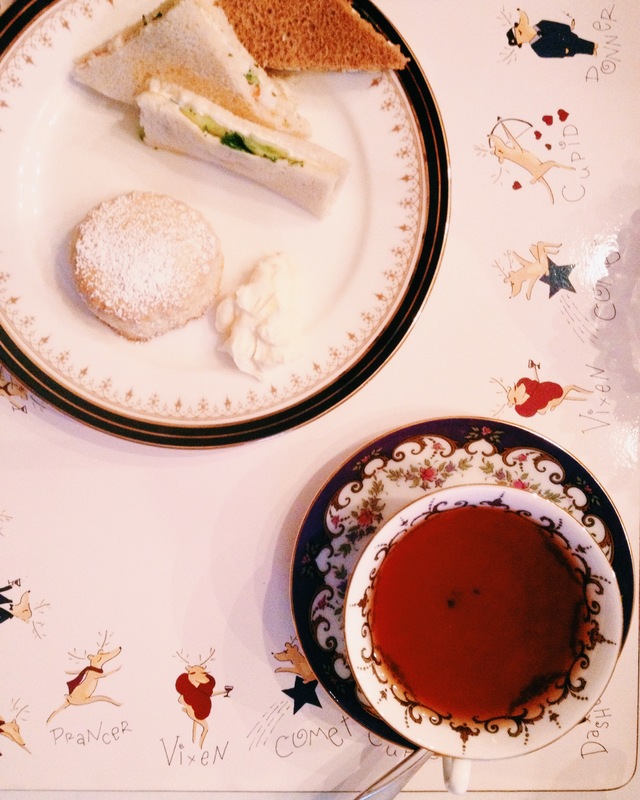 There are no dainty bites or little cakes involved in high tea. School yourself here. Afternoon tea is what you have in, get ready for this, the afternoon. 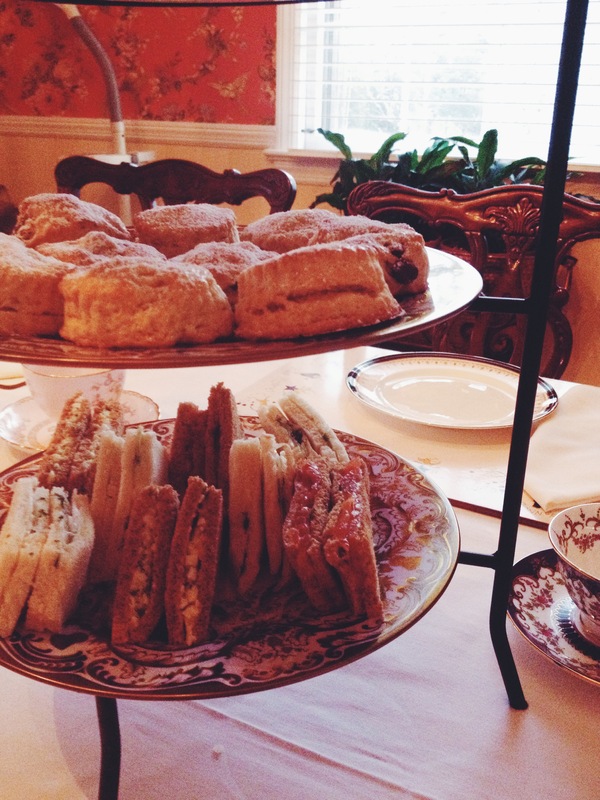 It typically includes tea sandwiches, scones, a sinfully delicious spread known as clotted cream, and petit fours. It’s luxurious but very simple to do. A bit time intensive, yes, but ultimately, easy assembly. 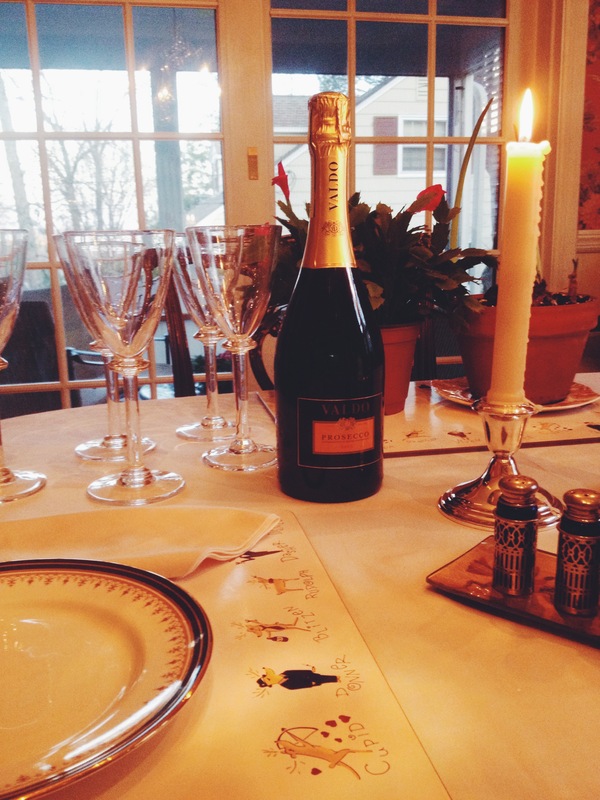 Plus, it often ends with champagne (or for me, prosecco). Sounds pretty damn good, amirite?! So let’s get down to it, shall we? Let’s go through the menu as you would if you were eating it; it all starts with the bottom tier of the tea tray, the sandwiches. I made five varieties because I’m a people pleaser and apparently really like spreading butter. 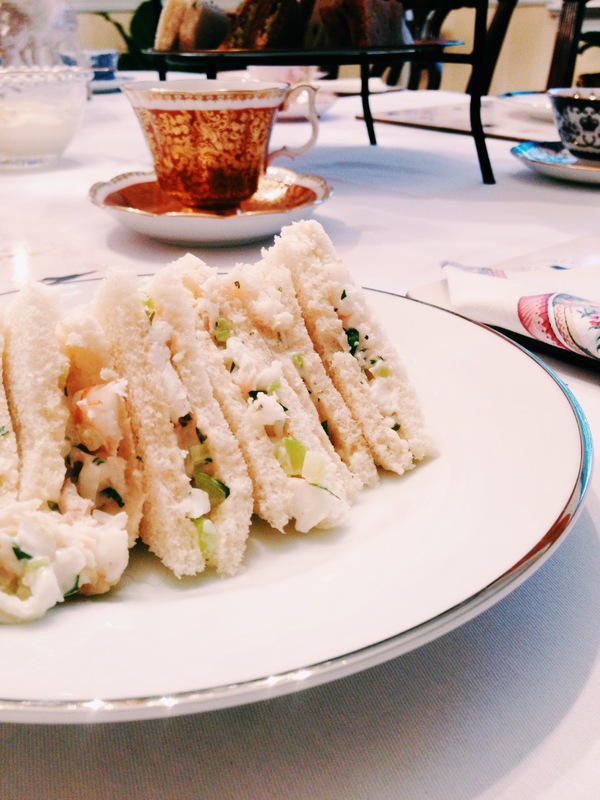 For this tea I made cucumber, smoked salmon, onion, egg salad, and shrimp salad sandwiches. I made onion sandwiches because my dad loves them. My grandma used to make them for him, and they’re actually quite tasty. 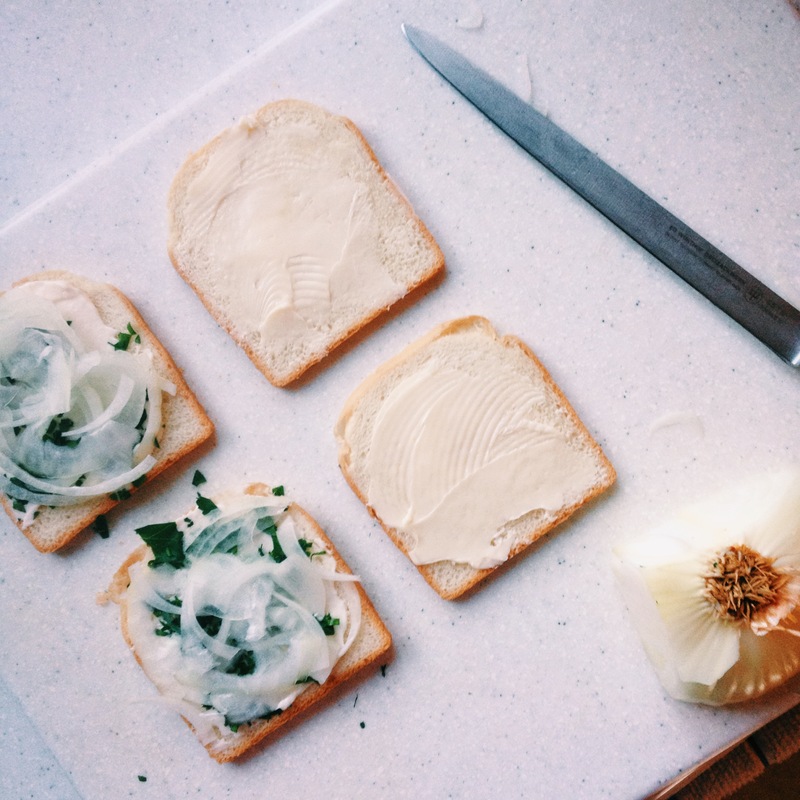 Just thinly slice sweet onions, plop it on some mayo’d and buttered bread and sprinkle with parsley. It really is a thing, I promise. 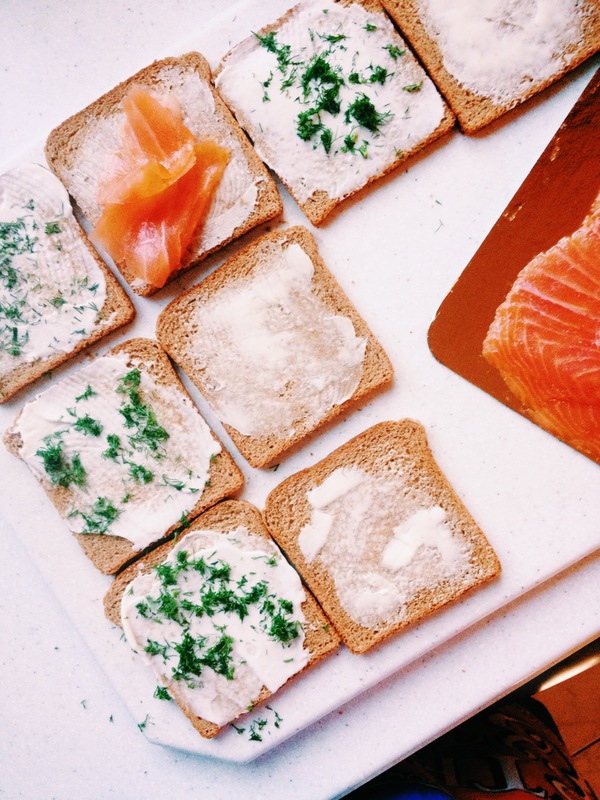 Both cucumber and smoked salmon are classic and self-explanatory: bread, mayonnaise, butter, cucumber or salmon, some fresh herb like dill, boom, done. So below, I’ll tell you what I did to make my egg salad and shrimp salad. 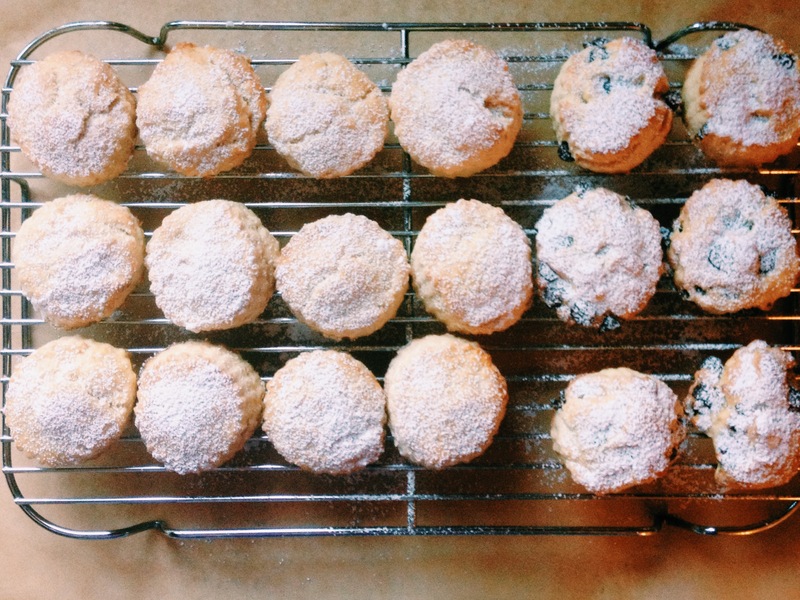 The next tier of the tea tray is scones. 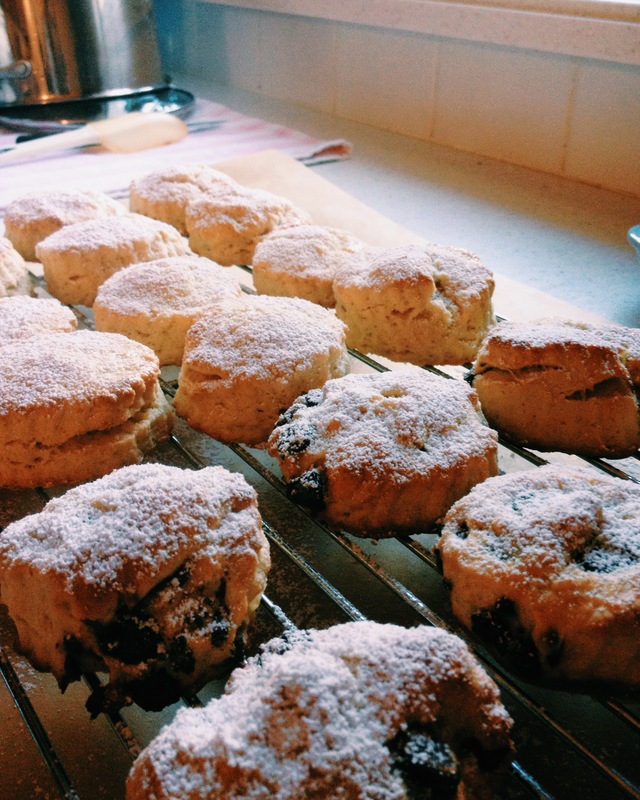 Scones, especially the classic cream scones, are easy. They’re also quite tasty, especially when smothered in clotted cream. 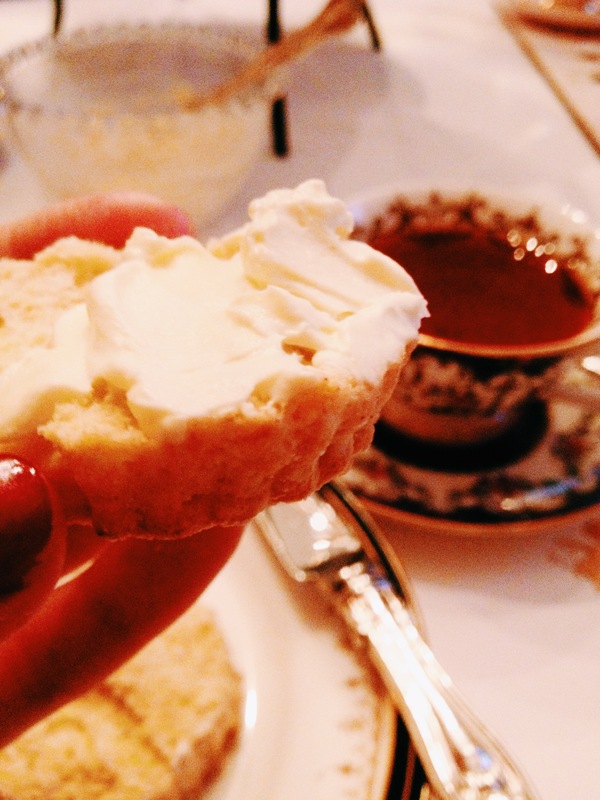 I’ve always thought we can’t get clotted cream in America, but it turns out we can! It’s pasteurized, unlike the real kind, but it tastes pretty damn similar and hey, it’s the best we can do here. I could cut out the actual tea entirely and just eat scones and clotted cream with a glass of prosecco. 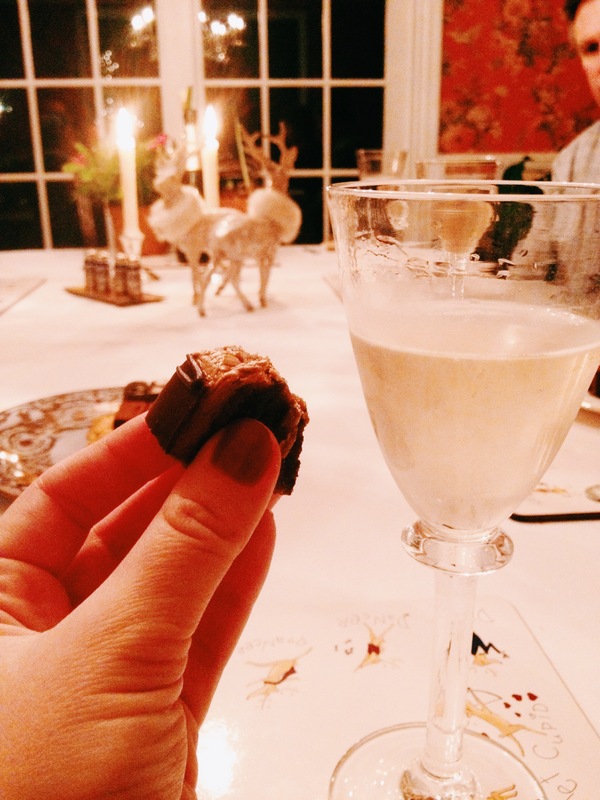 That leaves us with the top tier – petit fours. Guys – let’s be real here. 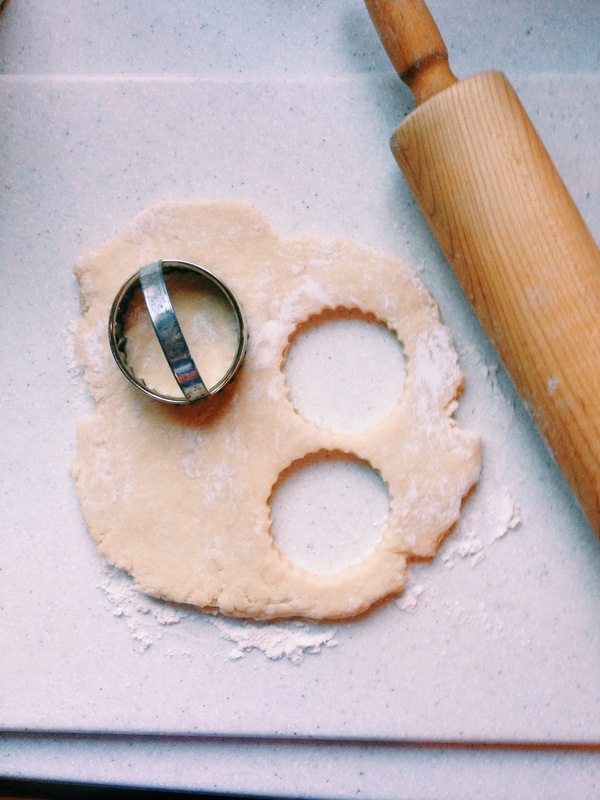 While I enjoy baking, I’m no pastry chef. 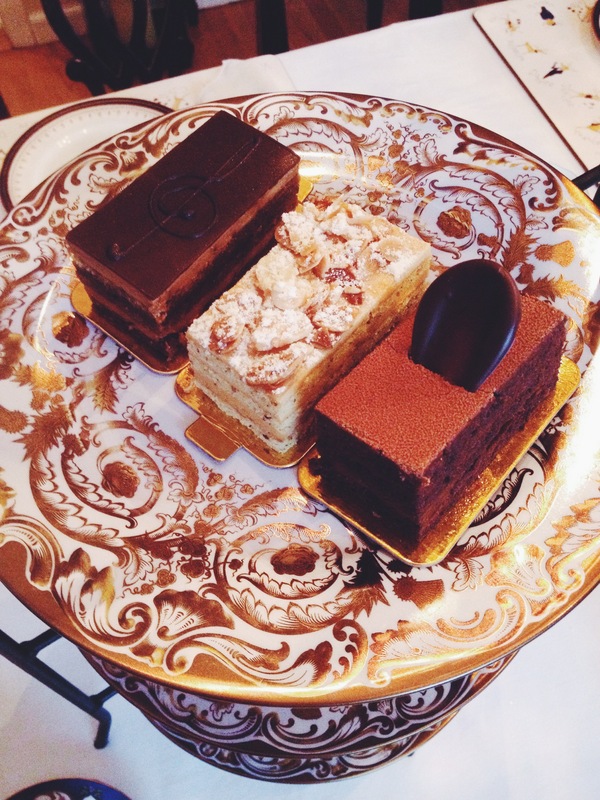 I went down to Sook, a highly regarded pastry and coffee shop in Ridgewood, NJ, and I bought three large petit fours for us all to split. While some of my mom’s bangin’ Christmas cookies would have been equally as delicious, we’ve been munching on those non-stop for the past few days and I thought a touch of elegance to top of the tray would be nice. It is afternoon tea, after all. All that’s left is brewing a pot of whatever floats your boat, like a nice orange pekoe or Darjeeling, and popping some bubbly. Once you’ve done that, you’re good to get that pinky up and enjoy the masterpiece in front of you. 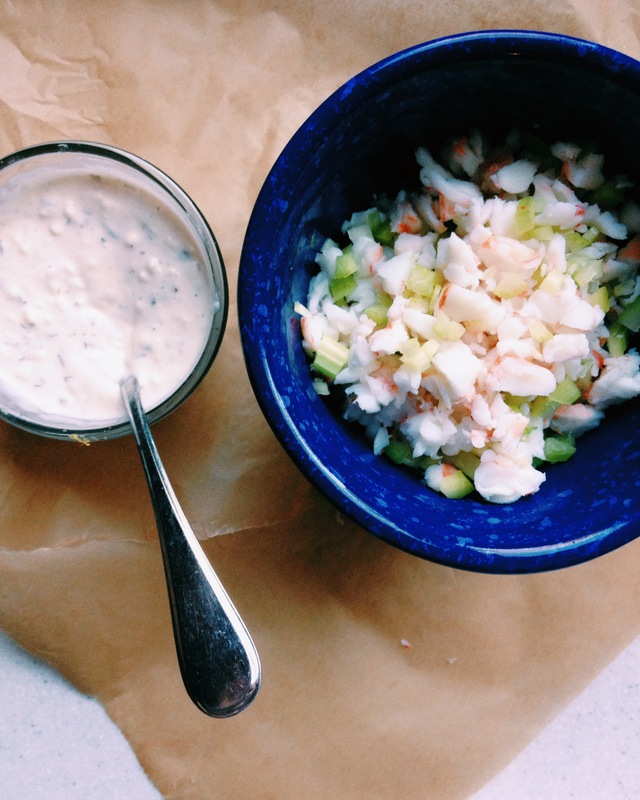 This is a very basic recipe for shrimp salad. I eyeballed everything and I kept ingredients light because this isn’t a hefty sandwich we’re making. 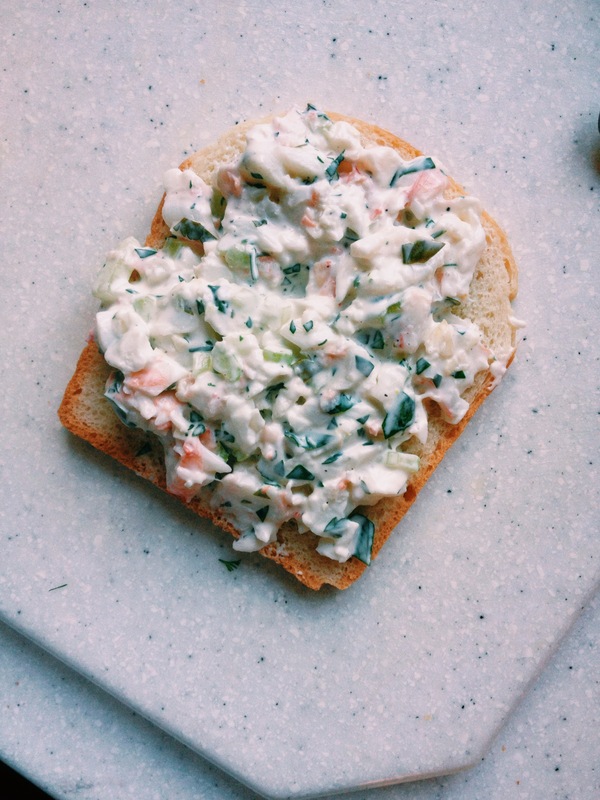 One of the reasons I chose to make a shrimp salad sandwich is that we had leftover jumbo shrimp and a parsley garlic aioli that I’d made for Christmas. 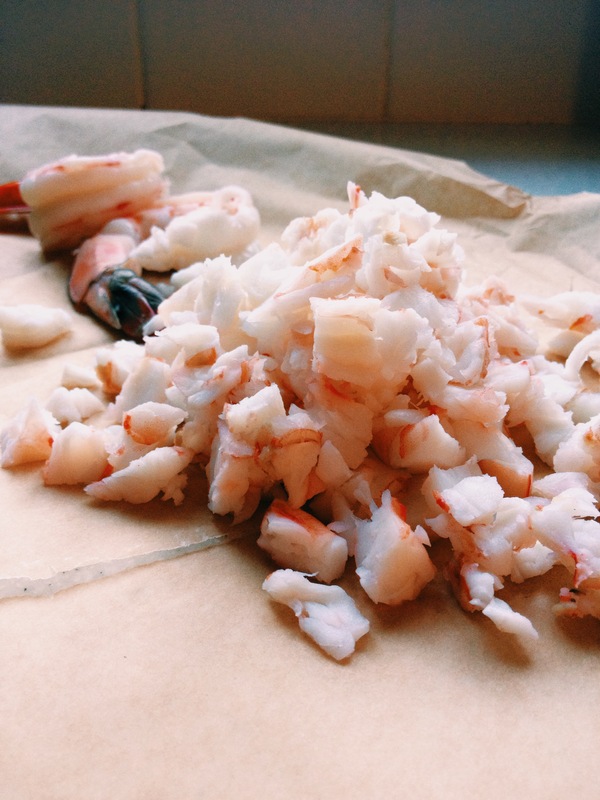 Chop up the shrimp into smaller than bite size pieces. Add the celery and the shrimp to a medium mixing bowl. Add the rest of the ingredients, minus the bread, to a small mixing owl and whisk until combined. 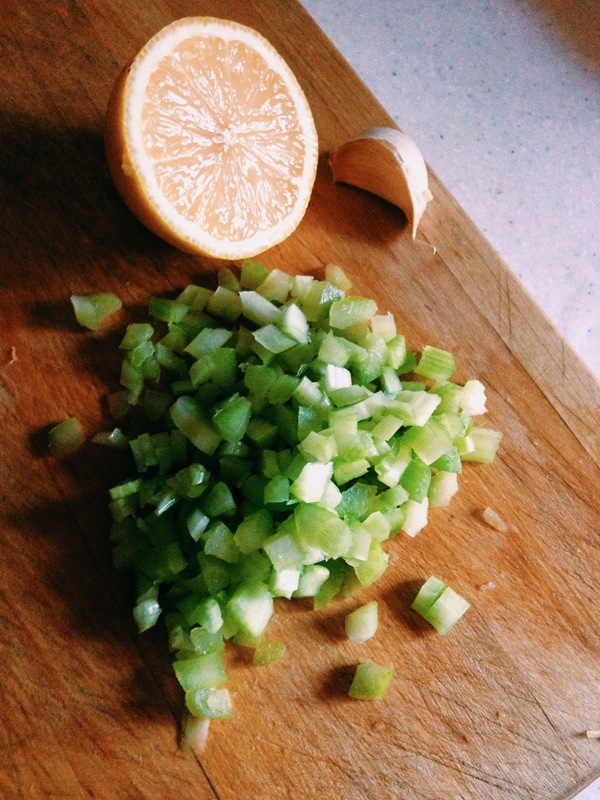 Add the mayonnaise mixture to the shrimp and celery until you get to a texture you like and stir to combine. Before making sandwiches, check to see if you need to add more of the mayonnaise mixture (the salad may have firmed up) or more lemon juice. Place mixture on a piece of white bread (I used thinly sliced from Pepperidge Farm, but use what you like) and top with another piece of bread. 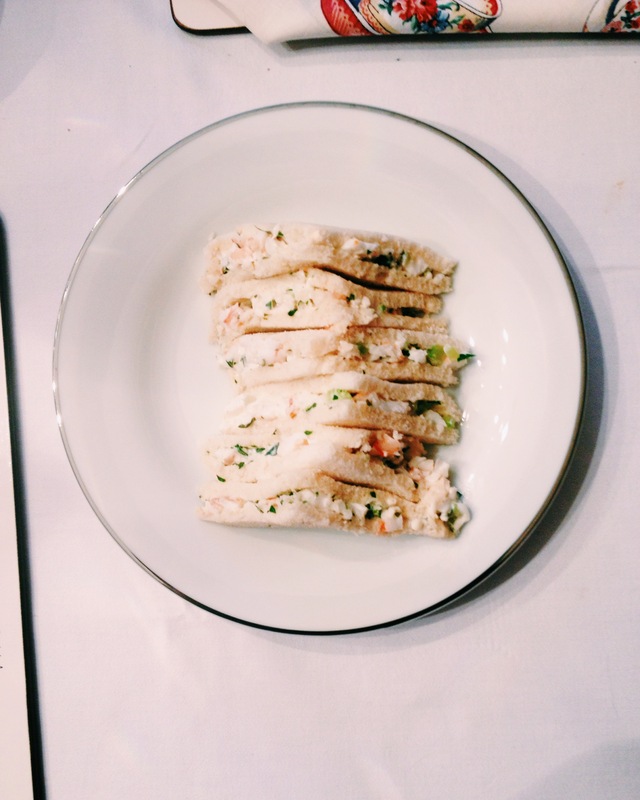 Trim the crusts of your sandwich and voila – you have a tea sandwich. To boil eggs, place them in a saucepan, cover them with about an inch of cold water, bring them to a boil, turn off the heat and cover the pot for eight minutes. Then run the eggs under cold water from the tap for about two minutes and place them in the refrigerator for about ten to fifteen minutes. 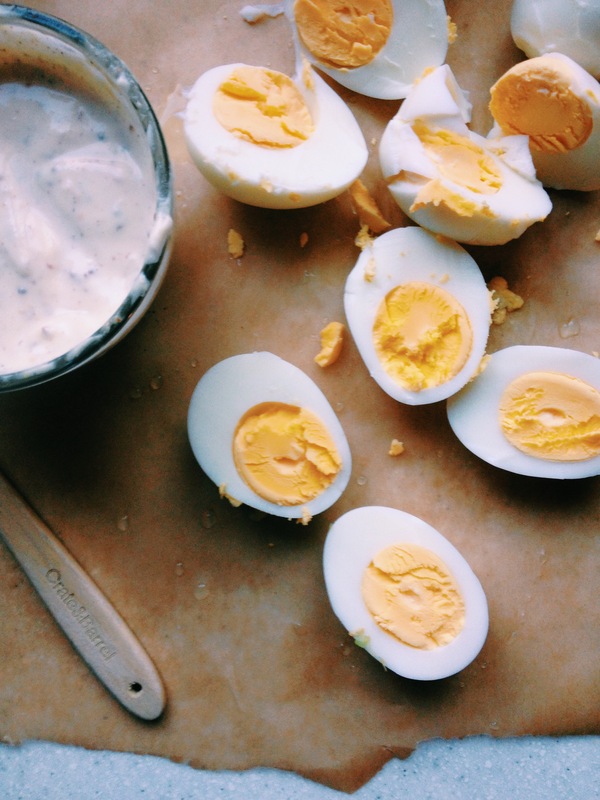 Peel them (some peel beautifully…others not so much), and cut each egg in half. Next, put them in a medium mixing bowl and mash them with a fork. In a small mixing bowl, add the rest of the ingredients, minus the bread, and whisk until combined. 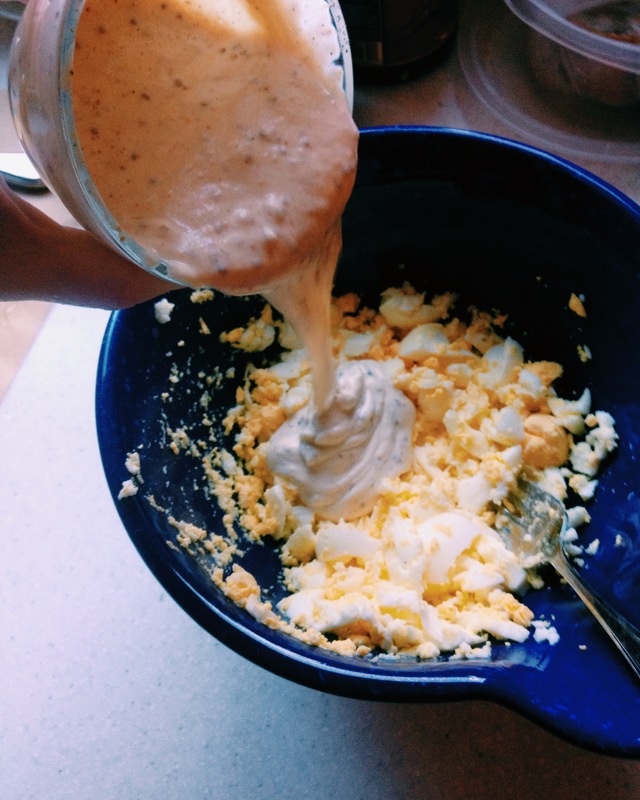 Add this mayonnaise mixture to the bowl with the eggs and stir until combined. Keep a reserve of the mayonnaise mixture in case you want to add more before making the sandwiches. 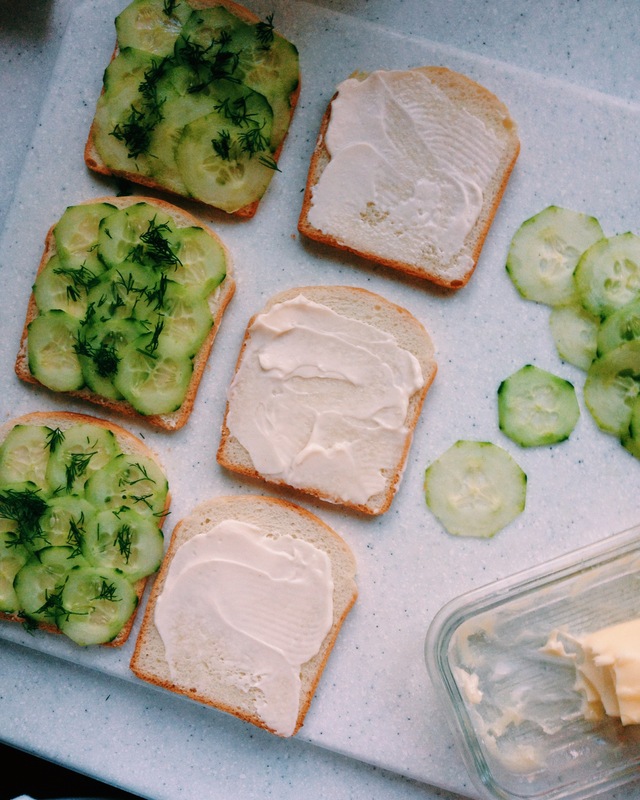 When you are ready to construct the sandwiches, check to see if you want to loosen the egg salad with some of the mayonnaise mixture or more lemon juice. 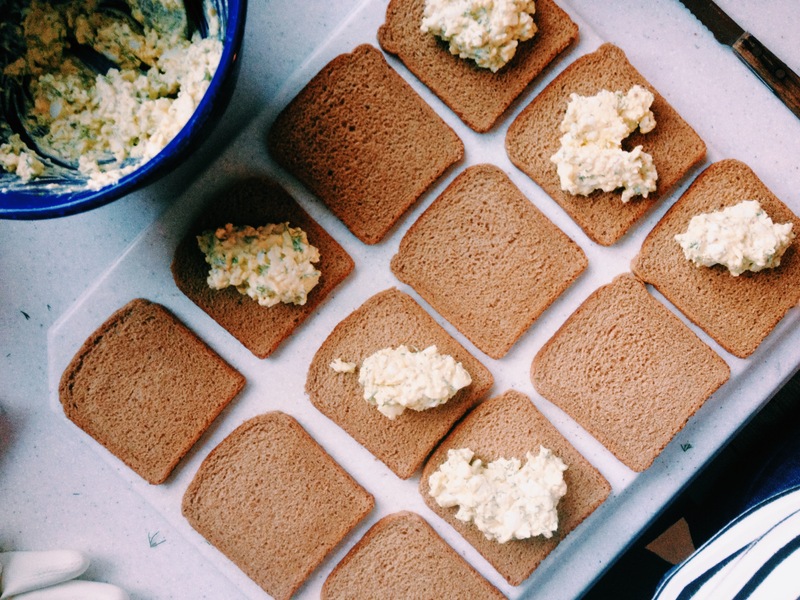 Take a piece of bread, spread the egg salad on, top with another piece of bread and trim the crusts off. 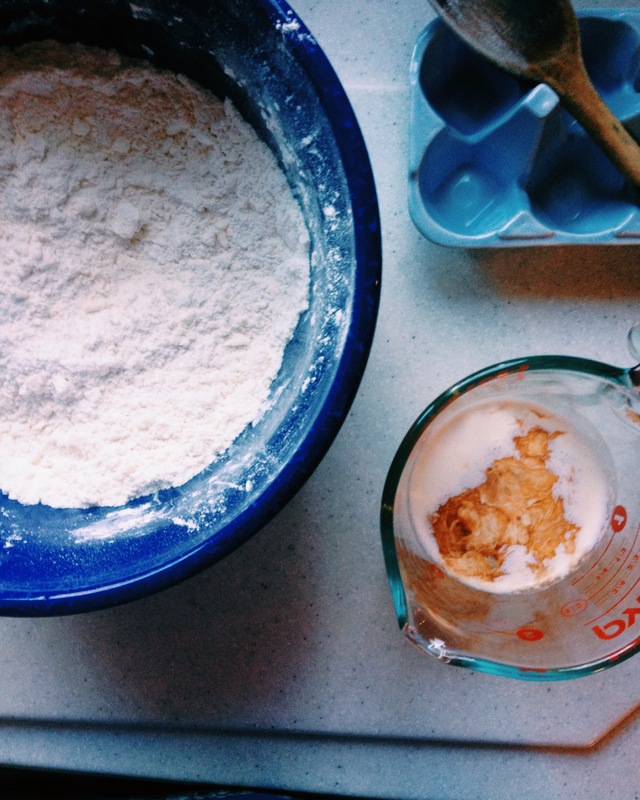 In large bowl, stir together flour, sugar, baking powder, and salt. 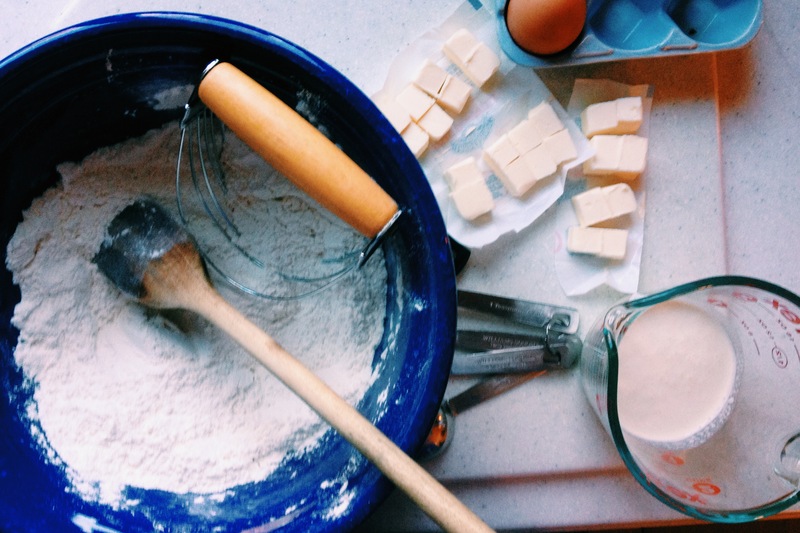 Cut the butter into ½ inch cubes and add them to the flour mixture. You may use a hand beater or a pastry blender to cut the butter into the mixture until it looks like coarse crumbs. 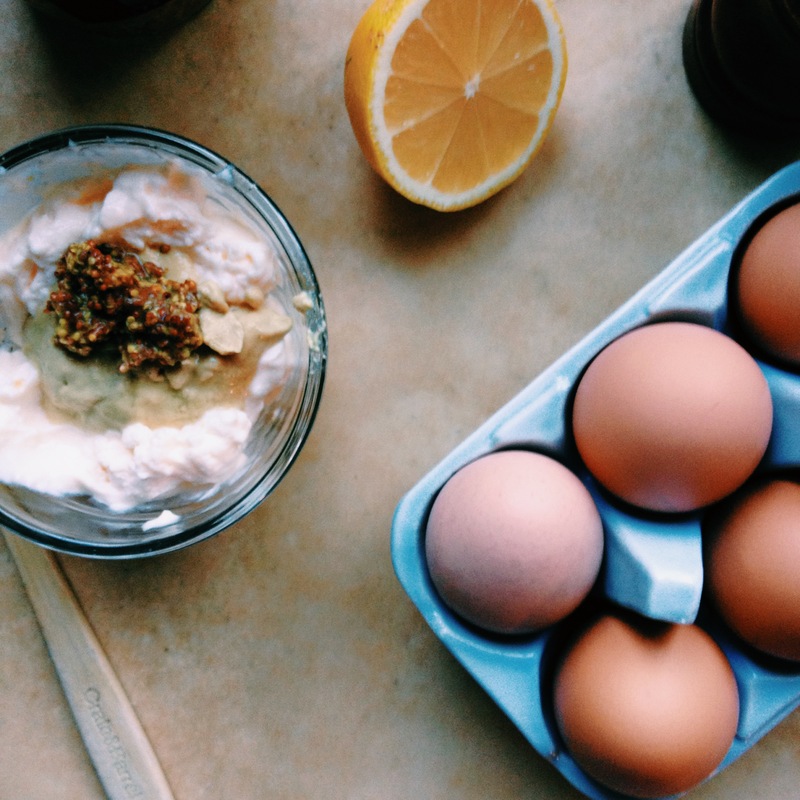 In a small bowl, whisk together the cream, egg, and vanilla. Add the wet mixture to the dry mixture and stir with a wooden spoon until combined. You may want to use your hands toward the end. **I split my mixture in half and added chocolate chips to one half. If you want to do that, do that now. Lightly brush the tops of the scones with the egg wash. Bake for 12-14 minutes, or until the tops are lightly browned. Move scones to a wire rack to cool for about 10 minutes. Serve with loads of clotted cream, and enjoy! So glad you addressed the “high tea” thing. Bitter I wasn’t invited, though.